Bioemtech is a fast-growing SME from Greece specialized in bio-imaging. To bridge the gap between ex vivo studies and in vivo molecular imaging, the company provides cost-effective solutions in terms of instrumentation and services. In particular, it designs and develops low-cost molecular imaging systems and provides imaging services and consultancy with an emphasis on nuclear medicine technology. 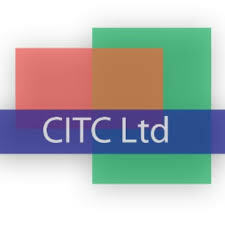 Cambridge Innovation Technologies Consulting Ltd is an SME based in Cambridge (UK) with the mission to provide innovation high-tech fields/high-growth sectors requiring multi-disciplinary approaches and know-how: from bio-electronics to advanced solutions for nano-medicine. The company provides research & development expertise and hands-on experience to support feasibility studies and business innovation. The CNR-IEIIT Bioengineering laboratory of Genoa, led by Silvia Scaglione, carries out advanced scientific and technological researches in the current frontier of tissue engineering (TE) and regenerative medicine; the bioengineering group’s core research missions are to develop novel biomaterials and bioreactors for TE applications, and to translate new engineering technologies into clinical practice. EMC is the largest University Medical Center in the Netherlands, with core activities in patient care, education and research. The Bone Tissue Engineering Research lab headed by Dr. Farrell is part of the Department of Oral and Maxillofacial Surgery. Dr. Farrell’s research is focused on the process of endochondral ossification with specific expertise in 3D cell culture, in vivo generation of tissue-engineered bone, osteoimmunology and multiple cell co-culture models. The Department of Biomedicine represents a joint venture of the University of Basel, the University Hospital Basel and the University Children’s Hospital Basel. Prof. Aceto’s lab at the University of Basel focuses on dissecting the biology and vulnerabilities of the metastatic process through the analysis of circulating tumor cell while Dr. Banfi’s group (Cell and Gene Therapy) focuses on understanding the basic principles governing the growth of blood vessels and translating these concepts into novel regenerative medicine approaches. The Department of Complex Tissue Regeneration at the Maastricht University is one of the founding fathers of the new MERLN Institute for technology inspired regenerative medicine. The department holds a prominent international position in the regeneration of vascular, bone, cartilage tissue and many more. The group develops scaffolds, cell- and growth factor-based tissue engineering, high-throughput screening and bioreactors to improve methods for complex tissues and organ regeneration. React4life is an innovative start-up based in Genoa, in Italy. The company provides technological solutions to implement realistic 3D models that overcome the bidimensional cell cultures to move closer to animal models. In particular, the React4Life designs and develops automatized fluidic platforms for 3D in vitro tissue culture and offers advanced fully-customizable products and services for lab-scale and small-scale in vitro tests for a wide set of applications.